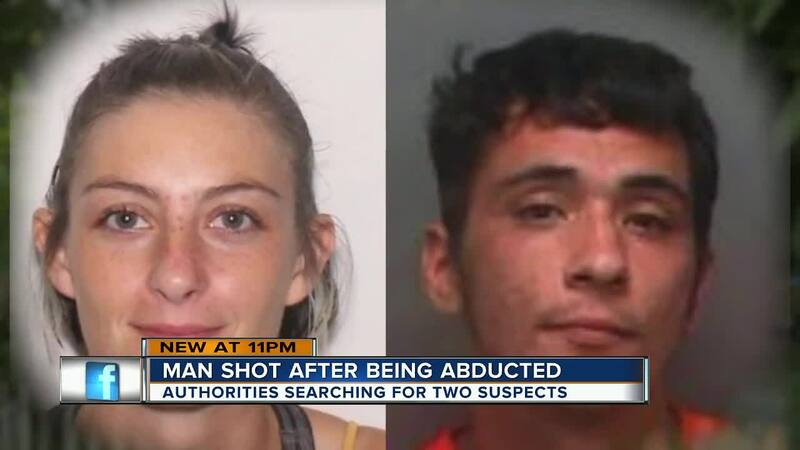 LARGO, Fla. — Two armed and dangerous suspects connected to an attempted murder and kidnapping case in Largo were arrested early Friday morning. Rhionna Leann Anderson, 24, and Derrick Heckman, 30, were arrested, shortly after midnight, by the U.S. Marshals Service and Marion County Sheriff's Office at a Days Inn. in Ocala on attempted murder and kidnapping charges. 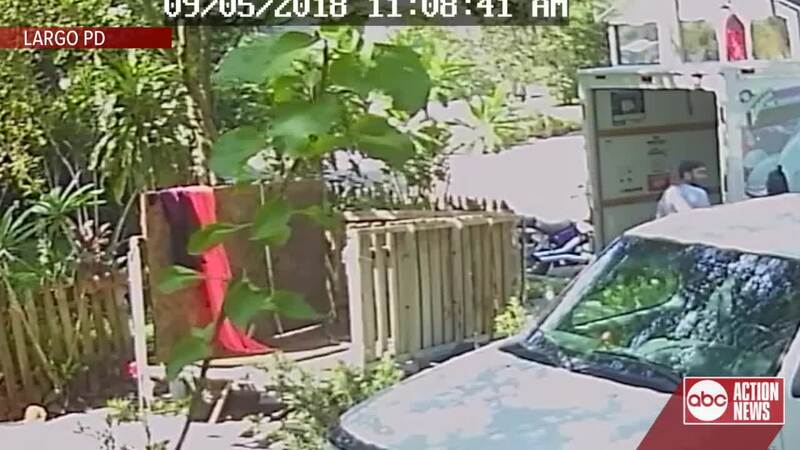 Largo Police said they responded to a call at 260 3rd Street NW on Wednesday at approximately 11:12 a.m. during an apparent drug-related robbery. 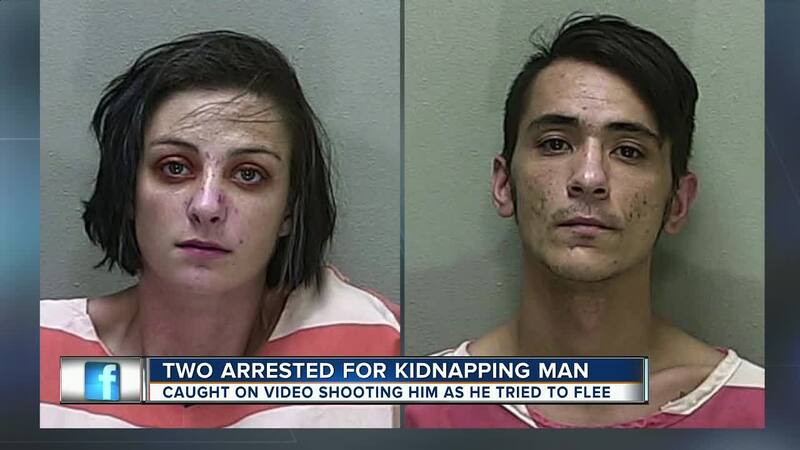 Anderson, Heckman, and a third male suspect duct-taped the feet and hands of the 28-year-old Timothy Nichols and forced him into the back of a rented U-Haul truck at gunpoint. Hearing that Nichols had freed himself from the tape, Anderson and Heckman opened the rear door of the truck. Nichols fled, and Anderson fired a shot at him from a semi-automatic handgun, striking the victim in the head, according to police. "He had his hand over it, but there is blood all around it," Bradford Randolph said. Randolph let Nichols into his home and called 911. "I should’ve been thinking, whoa, where are the people that shot him maybe they are going to come here? But, I forgot all about that. I just wanted to help him. He was in agony," Randolph said. The victim was admitted to Bayfront Medical Center and is expected to survive. The third male is in custody. The homeowner, identified as Jimmy Phillips, said Nichols didn't have a place to stay, so he was crashing at his house for a couple of days. Phillips would not comment on the shooting or apparent drug deal that started the chain of events. Neighbors tell ABC Action News the home is a danger to the community. "I think it’s insane, you know, but this isn’t something new this really tops everything that’s been happening over here," Rachel Taylor said. "I see drug deals, all day long, all night long. I can barely sleep because I hear vehicles coming and going motorcycles it just doesn’t stop." Anderson and Heckman, who fled the scene before LPD arrived, abandoned the U-Haul truck at Largo Mall, 10500 Ulmerton Road, following the shooting. When the pair was arrested they had two handguns and plane tickets to California in possession. They will be transferred from Marion County Jail to the Pinellas County Jail in the coming days.